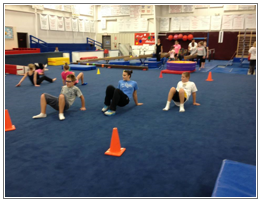 Thank you to Cincinnati Gymanastics Academy (Mary Lee Tracy) for donating space to the SOHC’s gymnastic program! Without your gym we would not be able to provide this program to over 60 individuals with intellectual disabilites. As a volunteer driven organization we want to thank all the people that volunteer their time, talent and treasures to make Special Olympics Hamilton County a very special Organization. Listed below are the companies and corporations that have made in-kind donations to our agency in 2016. We thank you all.